Below are a few of our 2 tiered stands. 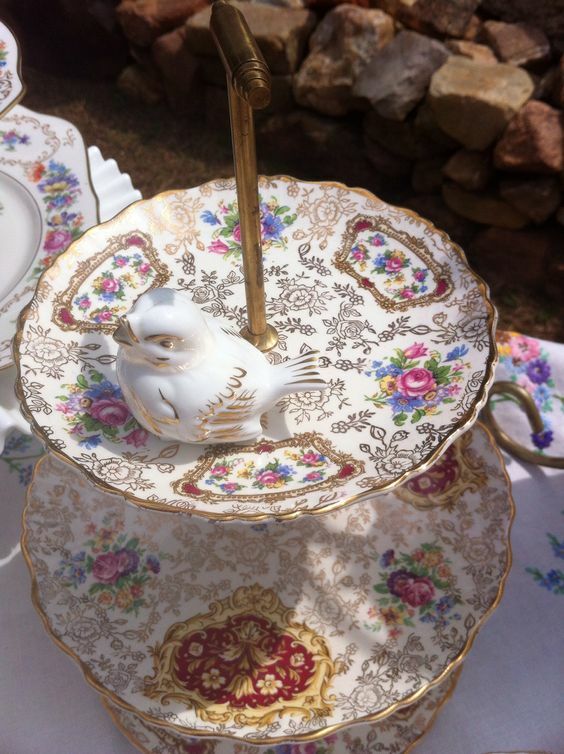 2 Tiers of fine Art deco style china plates create this elegant food stand. 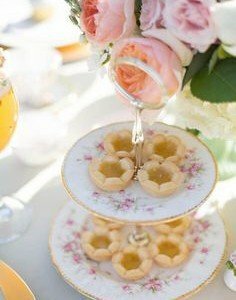 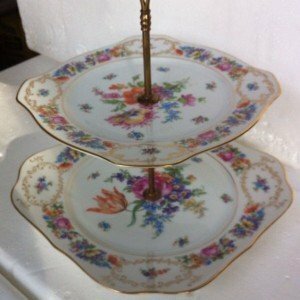 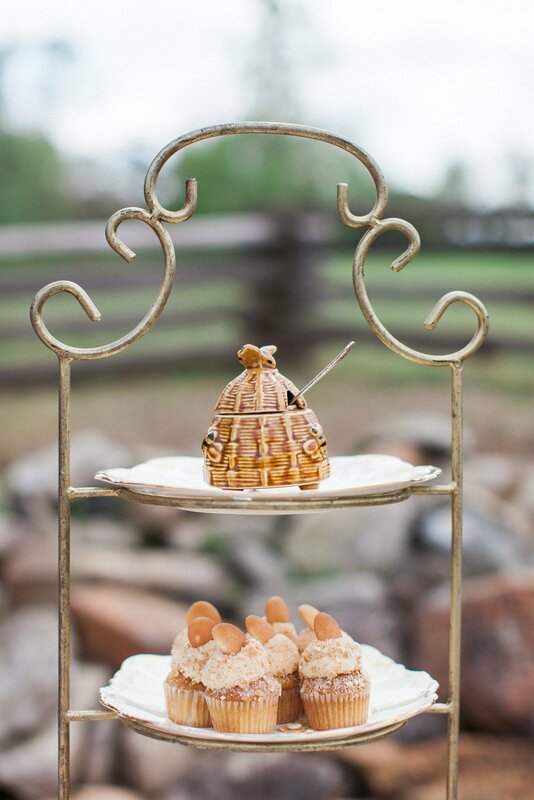 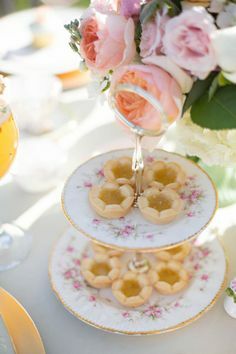 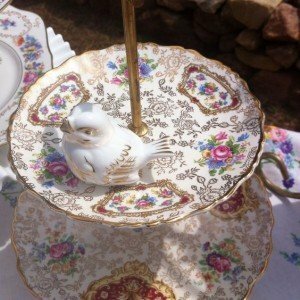 Square plates make this 2 tier cake stand even more alluring. 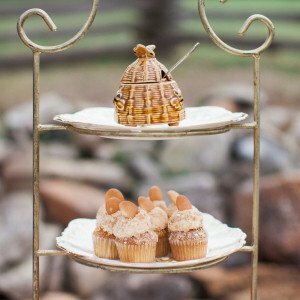 Metal framed cake serving stands feature “eared” cake serving plates that can be custom color mixed for your special day.